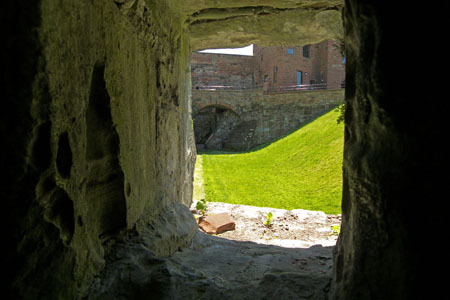 Through one of the gun ports in the battery defending the inner gatehouse. Carlisle Castle. Looking through one of the gun ports in the battery defending the inner gatehouse. Originally the ditch would have been filled with water. The slope on the right is an C19th construction.